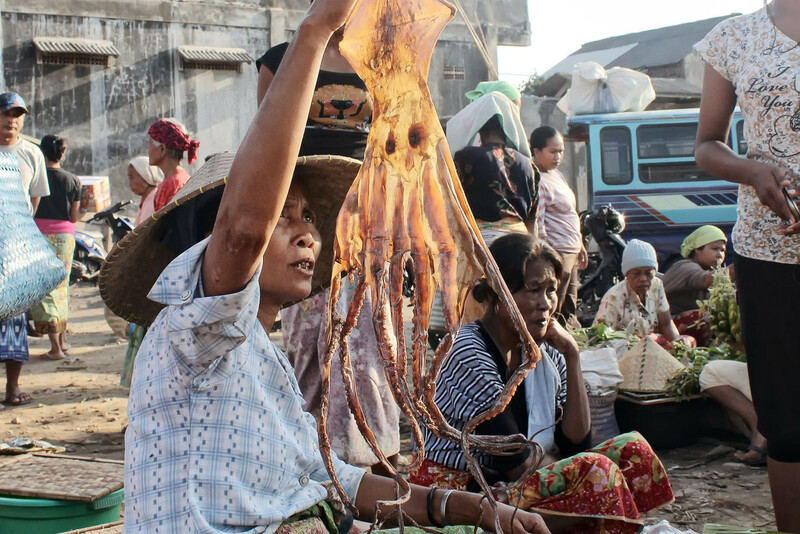 You’ll find various opportunities to eat in Kuta, mostly along the main road. Don’t expect a culinary experience. The local food is usually the best choice. 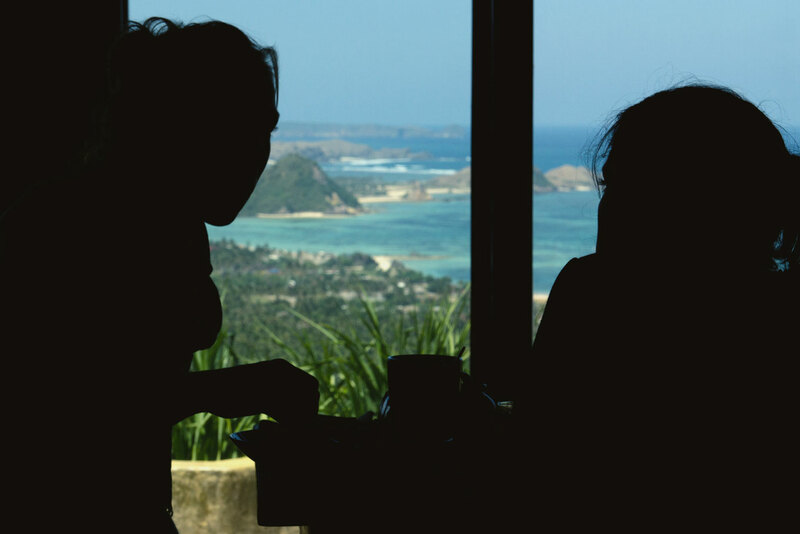 The Ashtari restaurant is located up the mountain 3km west of Kuta. 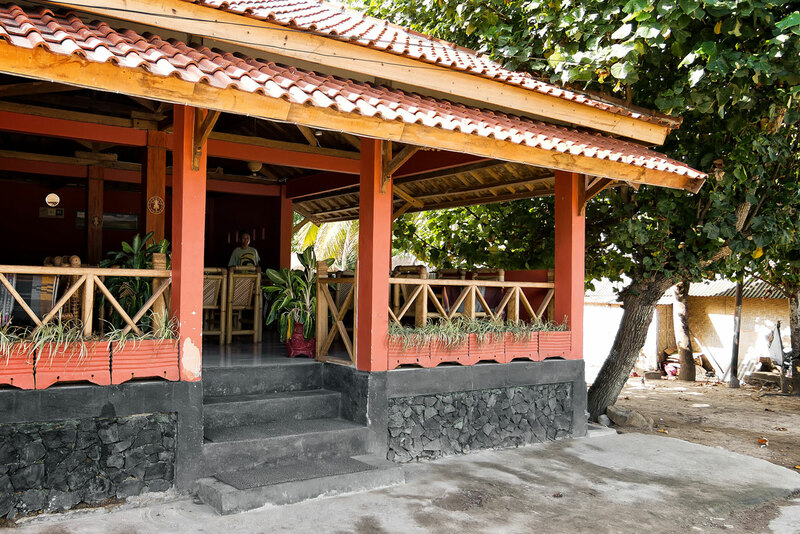 It is a realxed place with an indian touch offering vegetarian organic food, and probably the only restaurant you don’t want to miss on a trip to SouthLombok. The incredible view over the south coast, the atmosphere and the great food really make it worth a visit. Try one of the fresh cakes and a Coconut Shake, you will be glad you did. 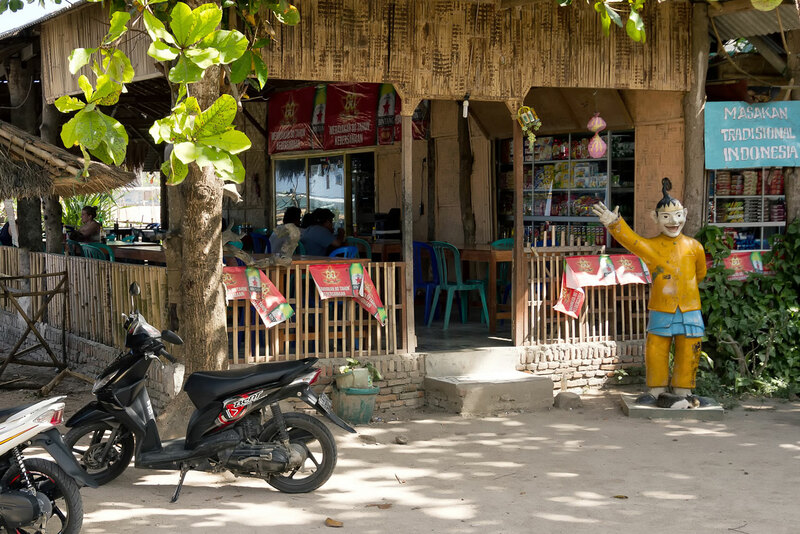 In the authentic Warungs Jawa 1 you can get really cheap and extremely good Indonesian food and fruit juices. If you like spicy food try the sambal. 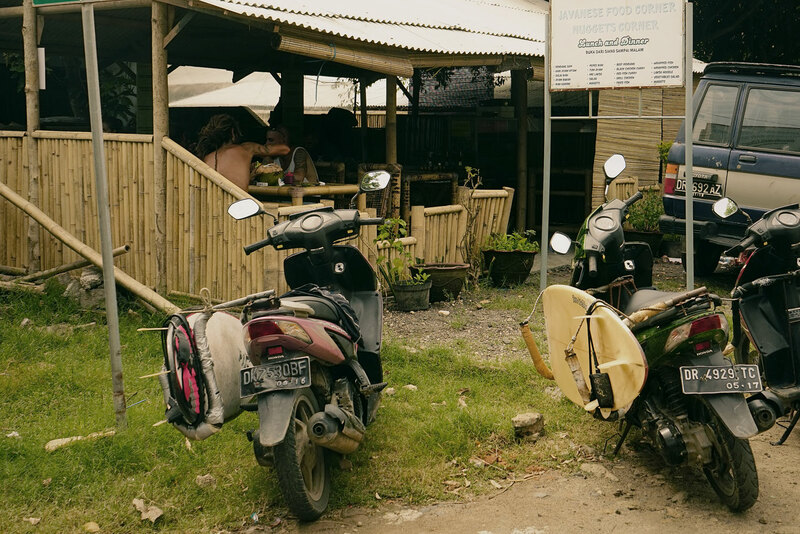 At Warung Nana’s you’ll get good local food and tasty drinks for an even better price. Because of the quality and the atmosphere it’s always crowded, so come early tif you don’t want to wait to long. 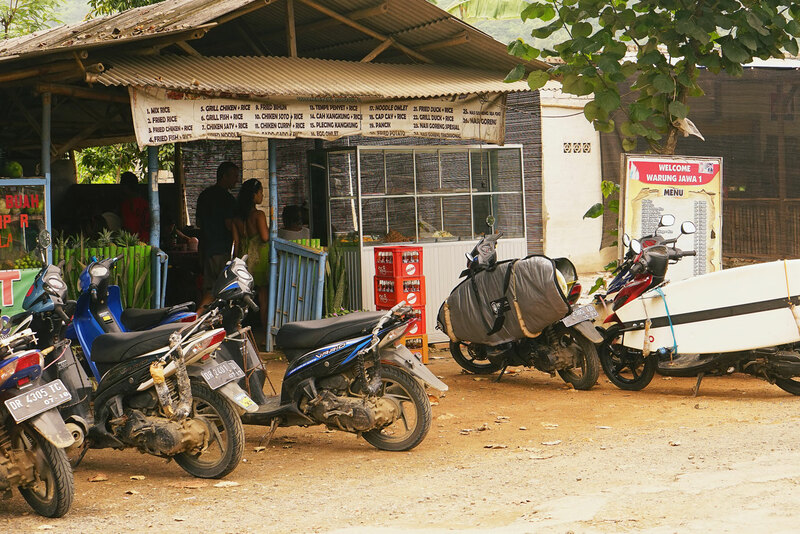 The Nuggets Corner is a French/ Indonesian owned Warung where you can get extremly delicious local food. Try the Black Chicken Curry! 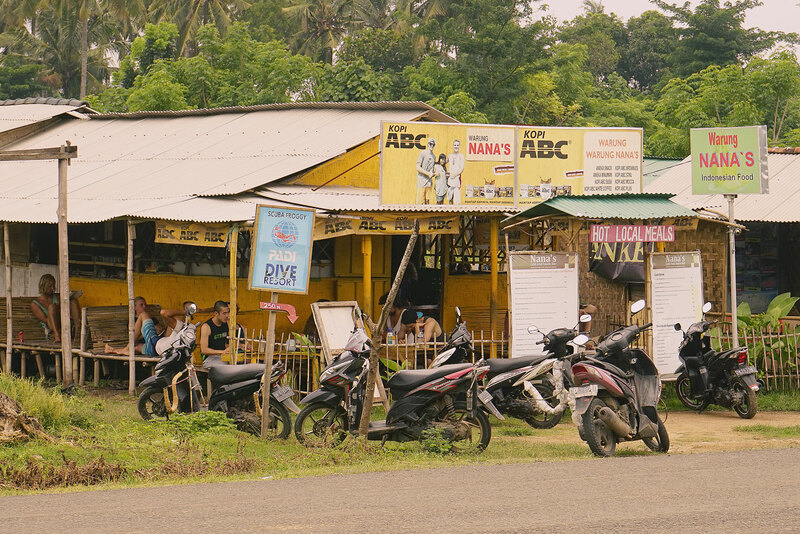 Anyone who is starving for fish should definitely visit the Warung Bule and try the Mahi Mahi fillets which are a real treat and the sweet tamarind-banana smoothie is a tasty dessert. If you’re not to hungry and not worried about eating with your hands, you should get a Nasi Bungkus in the Warung Murah Meriah.